Welcome to our ranking of the best online Ph.D. in healthcare administration programs. In the past decade, college education has become so competitive that earning a master's degree is practically expected in many fields. This is especially true for students who aspire to managerial roles. The MHA degree is becoming increasingly ubiquitous on healthcare professionals' rÃ©sumÃ©s. So to really stand out, many aspiring industry leaders and current administrators are taking that extra step to swap their MHA credential for a Doctor of Health Administration (DHA) degree. As online education continues to improve, more professionals are making the choice to keep their day jobs (because why wouldn't you if you could?) and study online. Unfortunately, the current options for online Ph.D. in healthcare administration students are extremely limited. We're confident that will change in the coming years, but as it stands now there only about a dozen online DHA degrees in the United States. As much as possible, we tried to limit our selection to public and private non-profit universities, although one for-profit school made it on this top 10 list. We then ascertained an approximate figure for annual tuition and fees using data from College Navigator. This included averaging in-state and out-of-state costs for public schools. We ranked the final set in order of affordability. From over $30,000 a year to less than $10,000, this DHA degree online ranking has it all. Read on! The 62 credit hour program is offered 100% online with no on-campus residency requirements. This flexible program allows students to choose between an applied or theoretical dissertation, depending on their personal and professional goals. -patient safety and quality improvement. The program provides students with the flexibility needed to continue working full-time while earning their degree. -organizational theory and behavior for health professions. Franklin University features an online doctor of healthcare administration program that can be completed in just three years. This includes a year for dissertation work. Students can transfer in up to 24 credit hour of previously earned credits, saving both time and money. Franklin University provides students with a personalized program, allowing students to choose from a wide variety of elective coursework to meet their personal and professional goals. There are no on-campus residency requirements, making this an ideal program for working professionals. Are you seeking an online DHA program with a cutting edge, relevant curriculum? Walden University's a top online DHA program is designed to keep up with the radical transformation in the health care industry. This DHA online features a multidisciplinary curriculum blending both theory and research. Face-to-face residencies provide students with the opportunity to engage with their peers and faculty. Online students can take advantage of support services designed to prepare students to balance family, work, and school responsibilities. Grand Canyon University offers the unique Doctor of Education in Organizational Leadership with an Emphasis in Health Care Administration program. It's the only program of its kind to make our list. Students can expect to gain a deeper awareness and understanding of the complexities facing the health care industry. While the majority of the program is offered online, students have the opportunity to travel to campus to collaborate with peers and faculty and work on their dissertation. The program features a relevant curriculum with the majority of courses focused on health care administration. 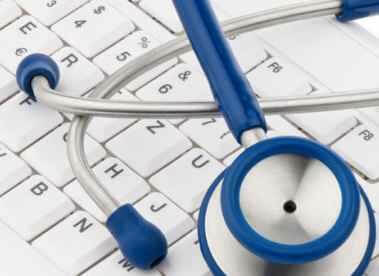 -managing human capital in healthcare. The University of Mississippi Medical Center offers an online accredited DHA program. It's designed to train leaders to navigate and manage change in the health care environment. Students come from a variety of backgrounds, including education and administration, as well as licensed or certified health care practitioners. The program is designed for part-time students and can be completed in just nine semesters. Coursework covers a variety of topics from epidemiology to health policy. Most of the program is delivered online, but there are on-campus face-to-face sessions incorporated throughout the program. The University of North Carolina has a reputation as a national leader in higher education. Thanks to its online Ph.D. in Healthcare Administration, students from across the country can take advantage of its superior academics. In many ways, this program isn't your average DHA. It's officially dubbed the Executive Doctoral Program in Health Leadership (DrPH). This three-year, cohort based, degree program is designed to help current industry leaders advance their careers. Students can complete a substantial amount of coursework from home or work and are only required to come to campus for three on-site visits each year. You've reached the end of our ranking of doctorate in health administration online degrees.